Tamra Ross was nominated for her work on the association's webinar program. Tamra joined Editors Canada in 2006. She began volunteering when she was asked to complete the design and layout for Latest Edition, before moving on to work on Active Voice. More recently, she was a member of the awards committee and she later became chair of the committee. She helped develop the Karen Virag Award during her time on that committee. In 2016–2017, while still chair of the awards committee, she joined the training and development committee, which had launched a new program of webinars. That year, Tamra made a lot of personal sacrifices to ensure our webinars were hosted, including taking her car out of the shop because she had to rush to make it to a webinar. For a volunteer, this shows true dedication. In 2017–2018, Tamra committed to chairing the training and development committee. She is indispensable to the smooth and successful operation of one of our largest sources of revenue: webinars. Tamra has been instrumental in producing the Successful Webinars manual for presenters—a 45-page document that is of great assistance to all presenters. She is an organized, disciplined, and extremely valuable leader of the committee. When Tamra was profiled as the Volunteer of the Month, she said "Volunteering has blossomed into an ongoing relationship that's brought many jobs. You never know where your next great client will come." Tamra is a partner and owner of Cobweb Text and Design, a life-long student, a researcher, and a programmer. She has published extensively in online magazines and in academia on topics linking technology and human learning. Tamra holds university credentials in English, editing, and IT. Her expertise is in document templating, stylistic and copy-editing, proofreading, magazine and report layouts, board governance, content marketing, and PHP development. She also loves coffee, furry creatures, gaming, scary stories (films, TV, books, comics...) and adding new skills to her list. Marsha Fine was nominated for her work on the 2017 conference. Marsha and her co-chair Suzanne were helpful from the beginning, particularly when we needed to change our venue search from Ottawa to Gatineau. Due to the popularity of the city during the Canada 150 celebrations, we were unable to locate a suitable and affordable venue within Ottawa. Both chairs helped with the task of looking for a venue in Gatineau and were able to switch gears when it came to marketing the conference city. It was also clear when planning the conference that both co-chairs cared a great deal about making the conference as inclusive as possible. This included a focus on finding presenters for French/bilingual sessions, as well as making sure there was content dedicated to indigenous matters. They ran a great team and tried to think outside the box when planning conference activities. They created a fun theme for the conference, Guardians of the Lexicons, and tied it back into their social media content, including running an Editors Origin Story contest on Twitter and Facebook. They also tried online session and conference evaluation forms for the first time, which is better for the environment, saves on printing costs, and makes it easier to access the data following the conference. Overall, the 2017 conference was greatly successful. It came in on budget, while surpassing its attendance and profit targets, and featured great sessions with exciting content. This was in no small part due to the work and leadership of Marsha as conference co-chair. Marsha has worked in publishing, both in-house and freelance, for most of her professional life. She is a writer and editor at the Canadian Nuclear Safety Commission, where her editing includes tweets, annual reports and everything in between. 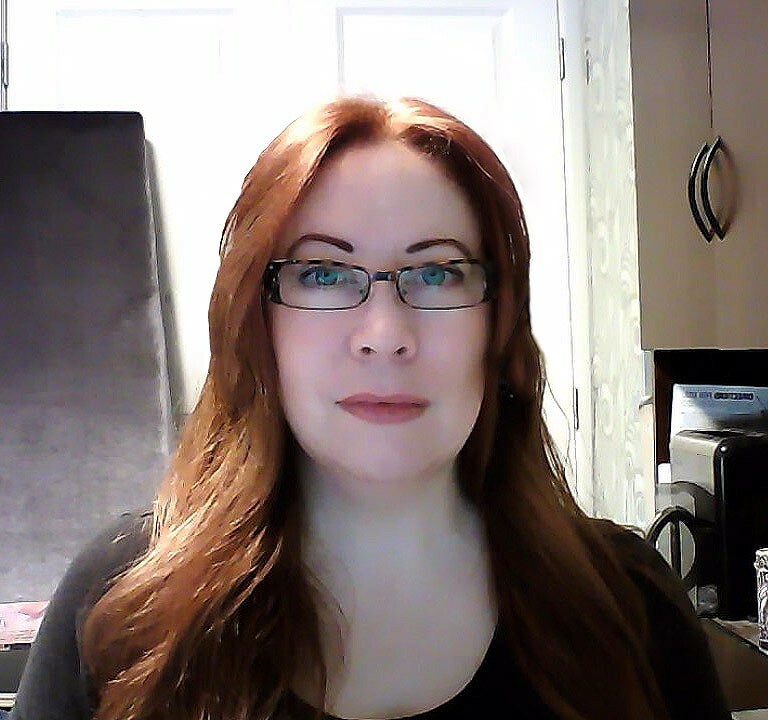 A member of Editors Ottawa-Gatineau, Marsha enjoys being part of the organization because it allows members to connect with one another, raises editors' professional level and enhances the dignity of the work we do. Andrea Hatley was nominated for her excellent work on the multiple-format e-book of Editing Canadian English, third edition. Making Editing Canadian English available as an e-book was Andrea's idea. She proposed this project to the national executive, created the e-book in multiple formats, worked with a dozen different volunteers in two rounds of beta testing, and created an excellent final product that many Editors Canada members and other language professionals use every day. Those nominating Andrea for the award said this, "Andrea was a delight to work with as we beta tested the different e-book formats. She communicated clearly, seemed to embrace and enjoy the challenge of coding and formatting for multiple platforms, was always cheerful in the face of seemingly inexplicable glitches, and expressed her gratitude for our help sincerely and often." Before deciding to earn a living indoors with words, Andrea spent a lot of time outdoors. She studied botany, ecology, sociology and aviation, worked as a professional trapper, operated a remote lodge/hunting/fishing camp, worked as a commercial helicopter pilot, and led a climate change action plan development and implementation. Andrea received the 2014 Claudette Upton Scholarship while she was in the Ryerson Publishing Program. She is the founder and CEO of Word Tapestries Inc., which offers a full suite of manuscript services to clients in a broad range of fields. Diane Newton was nominated in recognition of her dedicated work and time on the branch and twig toolkits. She was the French translator for the French version of the branch toolkit. The toolkits contain important information about branch and twig procedures; these are important resources for our members, especially for branch executive committees and twig leaders. Diane's work helps ensure high standard of governance for our association, and contributes to improving internal communication. The French toolkits, in particular, allow francophone members to stay engaged and connected. This would not have become possible without the French translation and editing. Diane's work, therefore, supports Editors Canada's core strategic priority of becoming a bilingual organization, fostering a diverse community. Her work will serve the association well for the many years to come, and her initiative will be exemplary for other volunteers. Diana is a fully bilingual freelance editor with twenty years of experience with the book publishing industries in Canada, the USA, and overseas. Her clients include Canadian book publishers, Canadian and multilateral aid agencies, foreign ministries of education, fiction and creative non-fiction writers, human rights NGOs, doctoral candidates, scientists, and historians. Diana recently became the executive director of a bilingual literary festival, the Frye Festival, in Moncton, N.B. She is also the executive secretary of Canadian Creative Writers and Writing Programs (CCWWP). Jonathan Paterson was nominated in recognition of his dedicated work and time on the branch and twig toolkits. He was the French translator for the French version of the twig toolkit. The toolkits contain important information about branch and twig procedures; these are important resources for our members, especially for branch executive committees and twig leaders. Jonathan's work helps ensure high standard of governance for our association, and contributes to improving internal communication. The French toolkits, in particular, allow francophone members to stay engaged and connected. This would not have become possible without the French translation and editing. Jonathan's work, therefore, supports Editors Canada's core strategic priority of becoming a bilingual organization, fostering a diverse community. His work will serve the association well for the many years to come, and her initiative will be exemplary for other volunteers. Jonathan has been a member of Editors Canada since 1988 and has been involved in various ways since then. He has served as a branch chair and national executive, contributed his design and layout skills to the first two editions of was Meeting Editorial Standards and assisted with English-French and French-English translation. He also contributed to the English Professional Editorial Standards and played a key role in creating the French professional standards (les Principes directeurs en révision professionnelle). Marie-Christine Payette was nominated for her dedication to promoting French-language editing and helping French-language editors. Marie-Christine has been an active volunteer ever since she joined the association in 2012. She was the director of francophone affairs for four years, and in that time she worked tirelessly, ensuring francophone members had a voice within the association and promoting the editing profession in Quebec and beyond. Since stepping down as francophone affairs director in 2017, Marie-Christine has been an invaluable support to the interim francophone affairs director, generously offering advice and sharing her well-informed and sensible perspective. She has also provided English-to-French translations for a variety of committees and has been making great efforts to promote the 2018 conference to francophone editors. While the amount of volunteer work Marie-Christine has done is impressive, what is perhaps even more impressive is her attitude and work ethic. Always willing to help, she's been a key resource person for any member looking for information or insights about French-language editing. She never leaves an email unanswered and never fails to return a phone call. She also deeply cares about the welfare of francophone members and their standing in the association and the industry. Marie-Christine has a background as an English-to-French translator and ESL and FSL teacher. She started her own business in 2011 and is offering French editing, proofreading, comparative editing and English-to-French translation. Since joining Editors Canada, she has volunteered as a translator, editor, speaker, session host, and director of Francophone Affairs on the national executive council. She regularly develops new areas of expertise, adding to her background as a language professional. Suzanne Purkis was nominated for her work on the 2017 conference. Suzanne and her co-chair Marsha were helpful from the beginning, particularly when we needed to change our venue search from Ottawa to Gatineau. Due to the popularity of the city during the Canada 150 celebrations, we were unable to locate a suitable and affordable venue within Ottawa. Both chairs helped with the task of looking for a venue in Gatineau and were able to switch gears when it came to marketing the conference city. Overall, the 2017 conference was greatly successful. It came in on budget, while surpassing its attendance and profit targets, and featured great sessions with exciting content. This was in no small part due to the work and leadership of Suzanne as conference co-chair. Suzanne is an academic and medical editor, writer, and project manager who specializes in social science, medicine, and STEM communications. She has been a member of Editors Ottawa-Gatineau since 2011 and is the current Editors Canada mediator. Suzanne is also the founder of the Ottawa Freelancers networking group, and she has given presentations on networking at several editing conferences. Stéphanie Robitaille was nominated in recognition of her dedicated work and time on the branch and twig toolkits. She was the French copy editor for the French versions of the branch and twig toolkits. The toolkits contain important information about branch and twig procedures; these are important resources for our members, especially for branch executive committees and twig leaders. Stéphanie's work helps ensure high standard of governance for our association, and contributes to improving internal communication. The French toolkits, in particular, allow francophone members to stay engaged and connected. This would not have become possible without the French translation and editing. Stéphanie's work, therefore, supports Editors Canada's core strategic priority of becoming a bilingual organization, fostering a diverse community. Her work will serve the association well for the many years to come, and her initiative will be exemplary for other volunteers. Stéphanie joined Editors Ottawa-Gatineau in January 2015 and became a member of the francophone affairs committee. In this role, she worked on the marketing materials, brainstormed new ways to increase the visibility of francophone editors, and recruited francophone members for Editors Canada. She also translated the 2015 and 2016 President's Award profiles and revised the 2015 Annual Report. In 2017, Karina Sinclair attended an Editors Toronto event one evening, where she was encouraged to join the association, and soon afterward became a member of the Hamilton-Halton twig. From day one of showing interest in the association, Karina brought her enthusiasm for learning more about editing and editors and for lending a hand. She soon became a volunteer on the communications and marketing team and participated in several teleconferences to discuss ideas for new creative products aimed at attracting and retaining members. Karina has a strong background in video production, having previously worked in that field for many years. She offered to help Editors Canada build an online video presence. Previously, the association had released a few national videos and conference segments, as well as branch and twig videos, but there was no video expertise or coordination behind this work. Karina volunteered to create a series of Editors Canada videos. In her work, she not only met but exceeded all expectations. She delved into the professional editorial standards and created short, snappy videos about editing, such as copy editing and proofreading, which exemplified the association's brand in tone, image and production. Karina is co-coordinator of Editors Hamilton-Halton and also produces the monthly twig newsletter. Karina was also a proofreader for Active Voice and is now a member of the national publications committee. After devoting more than 20 years to a career in television (she was the lead script-writer and producer for an extreme weather documentary series that aired on National Geographic and other networks), Karina founded Line By Line Studio and began her freelance career as a writer, editor, photographer and video producer. Kaarina Stiff was nominated for her work on the Agreement Template for Editing Services. Beginning in late 2016, Kaarina oversaw the revision of the Standard Freelance Editorial Agreement, which was sorely in need of an update both to reflect modern editing contexts (the existing wording still mentioned fax machines!) and to make it more user friendly. A plain-language edit was also called for. Several other attempts to complete this surprisingly complex project in recent years had fizzled at various stages. Along with former member Dawn Oosterhoff, Kaarina brought it to completion in early 2018. Kaarina and Dawn paid careful attention to terminology, informed by the language in the Professional Editorial Standards (PES) and by input solicited from experienced freelancers, the national executive, and members at large. In many cases, they found that the best approach was to simplify; the length of the template has been greatly reduced. At the same time, they added hidden text that provides explanations and alternatives to users who want them. The result is an interactive, flexible, user-friendly tool for customizing an agreement that is as simple or complex as the user needs. For definitions of the stages of editing, the agreement refers the user to the PES and the Editors Canada definitions, emphasizing the most important point: that the editor and client must share the same understanding of the work to be done, regardless of the terminology they use. The final product, now called Agreement Template for Editing Services, is a fresh and useful tool for editors and clients. Kaarina's input and motivation were key to this project's success. Kaarina earned a Master of Environmental Studies degree from the University of Waterloo and has expertise in environmental assessment, environmental planning, and sustainability. She spent 16 years in the federal public service, including five years as an executive. She is a member of the Professional Writers Association of Canada, Editors Canada, and the Canadian Authors Association. She is the current chair of the Ottawa-Gatineau branch.